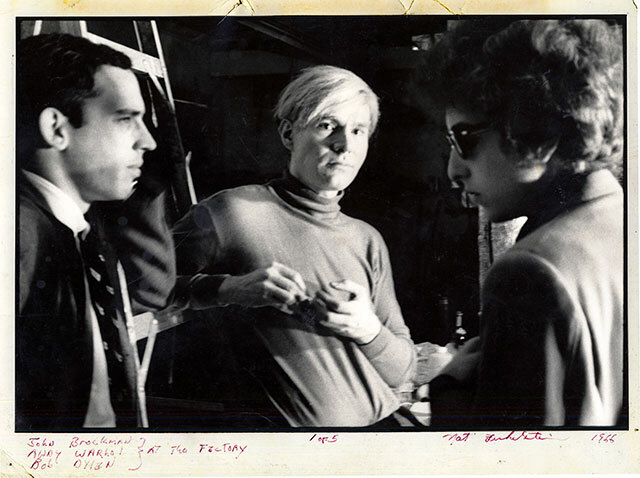 Teamwork, from left: John Brockman, Andy Warhol and Bob Dylan in 1966 in the New York Factory (Photo: Nat Finkelstein) Click to expand. The idea of the autonomy of art has led to the fact that even today it amounts to a breach of taboo if one wants to bring art and artists into dialogue with other disciplines such as technology, science or politics. One person who never had any time for such a separation is John Brockman. He is a writer, literary agent, curator, worked in business, and for the White House in Washington. He sees it as his main role to bring experts from the most different disciplines down from their ivory towers so that they can converse not only with their peers but also with the wider public and with the luminaries of other subjects. Stewart Brand, author of the legendary Whole Earth Catalog and the forerunner of the ecological movement, has called Brockman “an intellectual enzyme”, bringing the thoughts, visions and knowledge of the most different people together and catalysing them. Prototypical of this idea are his Edge Foundation and its website, edge.org, a platform for the exchange of ideas among the intellectual elite. Prototypical of this, too, was the collaboration between artists such as Nam June Paik, Andy Warhol or Robert Rauschenberg in 1965 in New York that led to an invitation by MIT whereby biophysicists, cyberneticists, musicians, painters and theatre directors held an interdisciplinary symposium. Finally Brockman has also proved his own talent for synthesis as a writer. In his first book By The Late John Brockman, he considers the world through the lens of information theory, in 37 through Heisenberg’s uncertainty principle and in Afterwords as a verbal construct. Above all, his first work was a magnificent combination, not just in content but also in form, of philosophy and experimental literature, which he presented in 1968 in a six-part reading of the book in the New Yorker Poetry Center. Each page of the book contained only one paragraph, composed of citations from the likes of Ludwig Wittgenstein or Samuel Beckett. The very? process of reading is supposed to create a performance, freely after Marcel Duchamp’s dictum that an artist makes the material available but that it is up to the observer or reader to make an artwork out of it. A new edition of By The Late John Brockman, 37 and Afterwords will be published this September by Harper Collins Publishers in the US and UK under the title By The Late John Brockman, and in Germany by S. Fischer under the title Nachworte: Gedanken des Wegbereiters der Dritten Kultur. 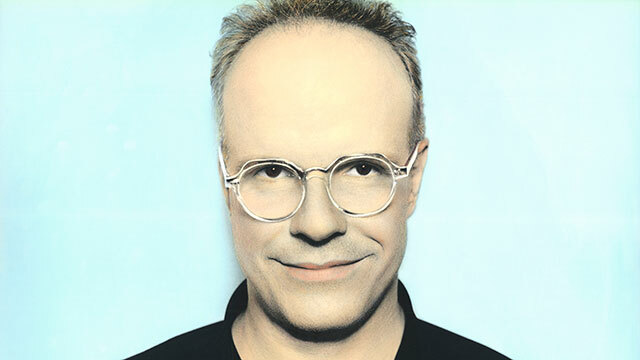 HANS ULRICH OBRIST is curator and co-director of the Serpentine Galleries in London. His most recent book is Ways of Curating.